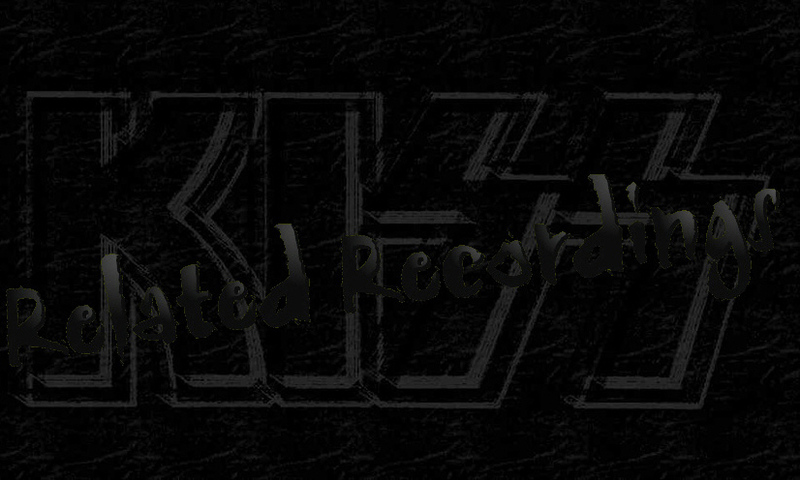 Necramonium.com has posted a promo video for Eric Carr's "Unfinished Business" album. The video was made by request of Eric's sister Loretta Caravello. 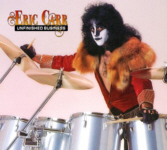 September 8 : Eric Carr "Flasher" video / photos surface ! New videos and pictures of FLASHER, the band Eric Carr was in immediately prior to joining Kiss, have been shared by former band member Art Lindauer. Videos include covers of "A Lot on My Head," "Frustrated," (with Eric Carr's lead vocals) and "Let's Go" which were filmed in 1980. Incredible tribute CD to KISS drummer Eric Carr, featuring unreleased music, live songs and more! Legendary KISS drummer Eric Carr was an intricate part of the band for over 11 years. His powerful drumming rocked the music world through the metal eighties. Carr is still an influence on drummers and rock fans alike. This special 20th year commemorative CD release features over 17 rare Eric Carr recordings, including unreleased music, live performances, interview clips and more. 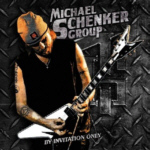 Guests include members and former members of KISS, Twisted Sister, Seether, ZO2, Europe, Danger Danger, and more. This CD is a testament to a man whose personality and heart were as big as his enormous talent. Eric's spirit is alive in each and every song. Rik Fox is a pioneer, artist, and has a unique perspective as an inside source of the rise of the American hard rock and heavy metal era of the 70s, 80s, and beyond. Rik witnessed the ascension of KISS, The New York Dolls, WASP, & Motley Crue, among others. Part 1 of this 2 part Rik Fox special allows you to get an inside glimpse of what it was like to be in KISS' loft at 10 East 23rd Street; long before Gene Simmons was counting his millions. Listen to Rik share his memories of working in the 70's New York rock scene along with the Ramones, Dolls, and others playing gigs at CBGB's and the Fillmore East. Download part 1 of the Rik Fox interview clicking here. In Part 2 of this 2 part episode, Rik Fox takes you back to the early days of the L. A. metal scene, beginning with his time with W.A.S.P., the rise of Steeler, SIN and brings us to current-day times, discussing new projects. Download part 2 of the Rik Fox interview clicking here. "It was a legendary time and Rik Fox is your tour guide. I had a blast talking with Rik and think you will love hearing his recollection of a great time in rock history." Bruce Kulick was recently interviewed by Backstage Axxess. Among the topics addressed include Grand Funk Railroad, Bruce's plans for future solo music, collaborating with John Corabi, KISSology, guitars, and some of the charities he supports. It’s always a privilege when we get together with guitarist Bruce Kulick. We caught up with Bruce at his hotel the night before a gig with Grand Funk Railroad a short time ago. We touched upon many subjects. We chatted about what his future plans are for new solo material. We also talked about what he knew regarding the upcoming KISSology DVD series and asked if he would be a part of it. Bruce also talked about his current gear and guitar collection, Rock and Roll Fantasy Camp, and charities that he is involved with. He is truly one of the more genuine musicians out there and it’s with great pleasure that Backstageaxxess.com introduces to you, the one and only, Bruce Kulick! Watch the interview clicking here. Former VINNIE VINCENT INVASION and JOURNEY lead singer and songwriter Robert Fleichman - who recently signed with Winogradsky/Sobel - has announced tour dates with his new band THE SKY. The band will debut live on November 17th/18th at the Oriental Theater in Denver, Colorado. Best known as the former lead singer of the group Journey between the albums "Next" and "Infinity", Fleischman was with the band for about nine months in 1977, contributing his song writing skills and vocal performances, but never actually recording any albums with the band. He co-wrote one of Journey’s first charting songs 'Wheel In The Sky' (#57 Billboard), in addition to 'Anytime' and 'Winds Of March'. For more details visit www.theskyofficial.com.